Why Was 'Bhobishyoter Bhoot' Banned Even in the Absence of Protests? A union of pliant officials and miscreants has tried to control every aspect of West Bengal’s social, cultural and economic life. A still from 'Bhobishyoter Bhoot'. We’ve been here before. A film discussing contentious political issues receives clearance from the Central Board of Film Certification (CBFC), in one if its more benevolent moods. The ruling regime in a state decides to act as a super-censor and bans the film. The news is reported widely in the media, though outlets sympathetic to the regime downplay it. Social media users offer hashtags of solidarity. Meanwhile, options for the producer range from approaching the courts (where victory is likely, but at the expense of delays and high legal costs) to issuing a public apology and deleting any offending material (in some ways a better solution, but at the expense of artistic integrity). The latest victim in this Groundhog Day-like scenario is a Bengali film directed by Anik Dutta, Bhobishyoter Bhoot (‘Ghosts of the Future’). As Dutta told The Wire in an interview, screenings of the film throughout West Bengal were cancelled the day after its premiere, after orders from “higher authorities” in the state. Many have strongly criticised the ban, including veteran actor Soumitra Chatterjee (who termed it “fascist”). In contrast, the reaction from the chief minister of West Bengal has been insouciant (“I will not answer. Don’t ask me this question”). As an invitee to the film’s premiere, and thus one of the handful of people to have seen the film, I can speak with knowledge about its content. Dutta is best known for his debut film Bhooter Bhobishyot (‘The Future of Ghosts’), a comedy that earned great critical and commercial success. While the title of Dutta’s present film puns on his earlier work, I could not spot much similarity between the two, barring the superficial idea of ghosts and spirits playing a central role. Bhobishyoter Bhoot is, in fact, a black comedy with political overtones completely absent in the earlier film. Dutta has mocked political parties and ideologies across the board – from the cow politics of the BJP and the RSS, to the luddite Marxism of the Left Front in Bengal, to radical Islam. The most hard-hitting digs, however, are reserved for the Trinamool Congress. The film lampoons several worthies in the party, who have featured in the headlines for reasons well known to all. Overall, the scenes are impactful but harmless – not unlike the silly skits one might encounter on NBC’s ‘Saturday Night Live’, or Indian YouTube channels like ‘The Viral Fever’. 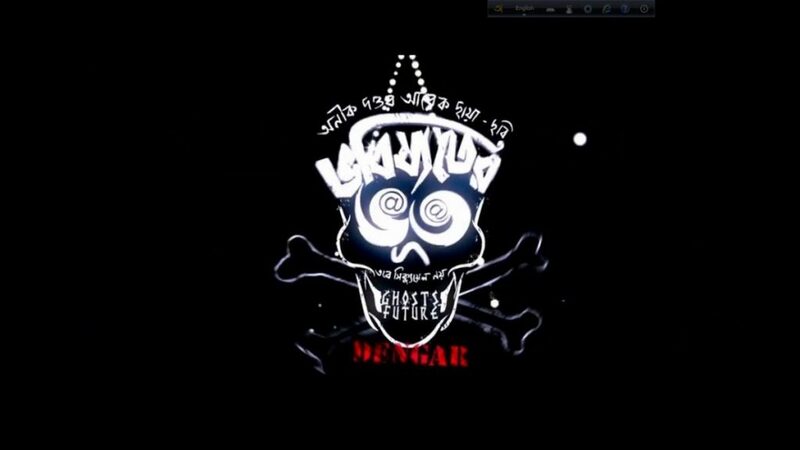 Reports indicate that the ban on Bhobishyoter Bhoot was communicated to theatre owners by police officials orally. Even assuming that written orders with specific reasons were issued, the ban is still clearly unconstitutional and violates the right to freedom of speech and expression. There are ample precedents that may be cited here. To give a few examples, in S. Rangarajan vs P. Jagjivan Ram (1989), the Supreme Court refused to revoke the censor certificate of a National Award-winning Tamil film, which faced opposition from some political groups for criticising caste-based reservations. The Court held that the freedom of expression “cannot be held to ransom, by an intolerant group of people”, and that the state government “cannot plead its inability to handle the hostile audience”. Once an Expert Body has considered the impact of the film on the public and has cleared the film, it is no excuse to say that there may be a law and order situation. It is for the concerned State Government to see that the law and order is maintained. In Lakshmi Ganesh Films vs Government of Andhra Pradesh (2006), the high court of Andhra Pradesh struck down a state government notification banning The Da Vinci Code even after CBFC certification, describing it as an “extravagant arbitrary, casual and wholly irrational” restriction on the freedom of expression. The Court also awarded costs to the film’s distributors, acknowledging that they had suffered financial losses. A similar judgment, involving the ban on the same film in Tamil Nadu, was passed by the Madras high court (Sony Pictures vs State of Tamil Nadu (2006)). Once the parliamentary legislation confers the responsibility and the power on a statutory Board and the Board grants certification, non-exhibition of the film by the States would be contrary to the statutory provisions and infringe the fundamental right of the petitioners. That apart…it is the duty and obligation of the State to maintain law and order in the State. Unlike the above cases, no social or religious group has protested against Bhobishyoter Bhoot. Yet, even if that were to be the case (and the rent-a-mob industry in India makes this plausible), the ban is still untenable going by the above precedents. What then allows the regime in West Bengal to act in such a brazen fashion? I would offer three, somewhat spooky theories. First, a confederacy of dunces, goons and pliant officials has tried to control every aspect of West Bengal’s social, cultural and economic life (Bertolt Brecht’s The Resistible Rise of Arturo Ui comes to mind). Now, the chief minister herself was likely unaware when some junior police officers in Kolkata arrested a university professor for circulating an innocuous cartoon mocking her. Or, when the Prime Minister of Bangladesh called her up to complain about a Trinamool Congress councillor threatening a relative of the Prime Minister’s in Kolkata’s Salt Lake township. In the present case, it is impossible that the chief minister viewed the film herself. More likely, some petty official or political worker attended a screening and reported it to superiors a rung or two higher. What accounts for such behaviour? Perhaps some are haunted by the spectre of disapproval from the CM should they fail to lobotomise institutions and individuals into submission. Or, perhaps they are out-of-control Frankensteins who do not care if the chief minister endorses their acts. Second, the media in West Bengal is rarely critical of the present regime. Possibly, the death knell was sounded when the state’s most powerful media baron, a bitter opponent of the chief minister, resigned from his post soon after she won a second term in office, resulting in a complete reversal of editorial policy. Meanwhile, most artists and intellectuals in the state happily sing paeans to the present regime. The state may have once spawned many an outspoken journalist and rebellious poet, but they are now mostly apparitions. Third, to a great extent, Bhobishyoter Bhoot caters to a privileged section of the Bengali middle class. The film’s dialogues are frequently peppered with English words and phrases and its pop culture references span Jean-Luc Godard, Quentin Tarantino, Aikro Kurosawa and Deep Purple. The director’s intended audience are unlikely to constitute more than a small share of the state’s electorate. If anything, members of this demographic are continually emigrating to other Indian states and overseas. If civil society activism and public interest litigation on civic issues can be taken as indicators of how large and influential a state’s middle class is, then West Bengal’s can arguably be regarded as modest – a phantom votebank worthy of disdain. At the time of writing, the makers of Bhobishyoter Bhoot are reportedly contemplating approaching the Calcutta high court (whose once-grand, now-dilapidated rooms may well house a ghost or two). Yet, even in the event of a favourable decision, the film could still be kept off theatres, following “friendly requests” to do so. Furthermore, irrespective of the judicial outcome, the incident will be erased from public memory soon. On the contrary, West Bengal’s media and intelligentsia will only add to a growing chorus to anoint the chief minister as the next prime minister of India. On this note, let me conclude by saying that I reserve the right to retract this article and describe the chief minister as a beacon of tolerance and liberal thought (I haven’t criticised her directly, have I?). Arpan Banerjee is an assistant professor at Jindal Global Law School and Scientia Doctoral Scholar, University of New South Wales. He is currently writing a book on film censorship in India.